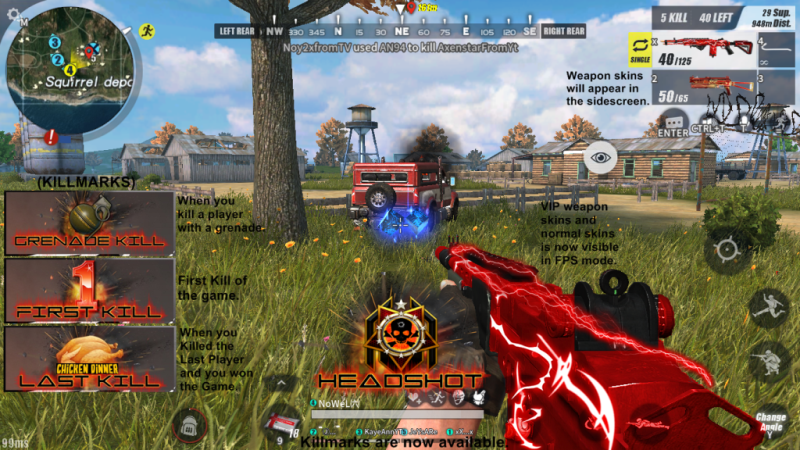 Rules of survival»Game Forum › Discussion Area › RoS Anniversary: Time Leap › The Future of ROS (ISEETHEFUTURE) LOL. Weapon Skins and VIP Weapon Skins will apear in FPS Mode. And an awesome Killmark for every unique Kill.! I Think That Is Badge For Kill... !